Coil Art Mage V2 RTACoil Art brings back their popular Mage RTA in its new and improved version 2! The Mage V2 RTA features a 24mm diameter, 3.5ml E-Juice capacity tank, and a 24K gold plated stainless steel postless build deck. The knurled texture on the top cap allows for easy grip and when the top cap is unscrewed, it exposes two large fill ports for a convenient pour-to-fill capability. The 24K gold plated stainless steel postless build deck has four terminals measuring at 2.5mm each terminal and side mounted hex screws secure coil leads in place. Dual wicking ports are located on each side of the deck, measuring 3mm by 10mm, and can hold plenty of cotton. The build deck also includes 29 honey comb airholes that measure 1mm each and are positioned around the terminals. Airflow enters the Mage V2 RTA via triple adjustable bottom airflow and a 6mm bore delrin 810 drip tip allows for ample vapor intake and flavor. 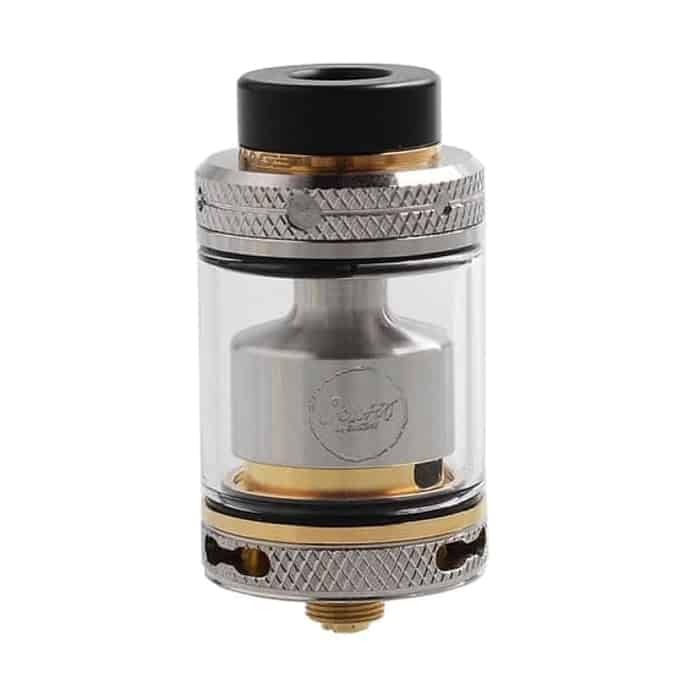 The Mage V2 RTA also includes a 5.5ml PCTG Bubble Tank Section for unique customization, as well as a 510 drip tip adapter, and spare parts. Coil Art’s Mage V2 RTA is a stylish rebuildable tank atomizer with an easy to use postless build deck, perfect for new and experienced users alike!